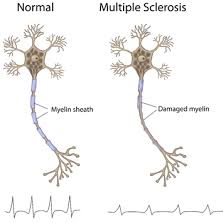 MS is an autoimmune, inflammatory condition which is caused by an attack from the body’s immune system on the myelin sheath that surrounds nerve cells in the central nervous system (CNS). The myelin sheath provides insulation to these cells to allow for fast conduction of signals throughout the body; destruction slows the speed of signals from the CNS to the body’s peripheral nervous system (PNS). This condition can also lead to destruction of the nerves themselves, which is irreversible. 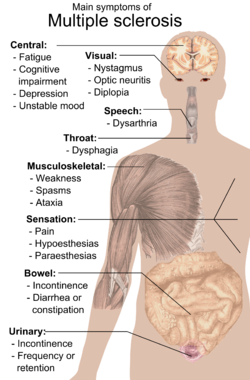 Due to the fact that the CNS is the “command center” for the body, MS can cause problems in numerous body systems. MS (and the current treatments available for its treatment) can cause bladder infection and dysfunction, bowel dysfunction, depression, fatigue, itching, emotional changes, pain, sexual problems, tremors, dizziness and vertigo, gait (walking) difficulties, sleep disturbance, and more. One major symptom of MS is referred to as spasticity. It can cause overactive reflexes, involuntary movements, difficulty with care and hygiene, abnormal posture, contractures, pain, bone and joint deformities, and more. Needless to say, MS causes a severely decreased quality of life for patients. There is currently no cure for MS, which is why research for new treatments for symptom relief and disease progression is imperative. One of the largest studies gauging the effect of medical cannabis on patients with MS was one of 630 participants conducted by Zajicek et al. in 2003 at 33 centers. Results showed that participants who used whole-plant cannabis-based medicine (CBM) extracts did not experience an improvement in objective measurements of spasticity measured by the Ashworth scale – a tool used to assess objective measures of spasticity, including tone, resistance, and rigidity in body extremities. “Patients in the CBM extract or ∆-9-tetrahydrocannabinol (THC) CBM groups reported improvements in “pain, sleep quality, spasms, and spasticity.” – Zajicek et al. So if medical cannabis did not show immediate efficacy on the Ashworth Scale in such as large study, this treatment option is not effective a good treatment option for MS, right? The answer to this question is a strong and resounding “no”; comprehension of the reasoning for this requires a basic understanding of tools used in research. Validity tests (those that gauge whether or not a tool is accurate/whether it measures what it is designed to measure) and reliability tests (those that gauge the ability of a tool to produce the same results when administered multiple times in the same conditions) are performed on tools like the Ashworth Scale, in order to help us to understand their real-world or clinical utility. Due to the fact that the Ashworth scale is not a fully valid measure of spasticity, performance on it should not be used in the assessment of treatment efficacy. Whether medical cannabis is able to produce significant change in the Ashworth Scale therefore does not properly measure the efficacy of medical cannabis on spasticity. Additionally, there are many other symptoms experienced by patients with MS than just spasticity (such as pain, weakness, etc. ), and treatment efficacy should not be gauged solely on changes in that one symptom. “Treatment with smoked cannabis resulted in a significant reduction in patient [modified Ashworth Scale] scores.” – Corey-Bloom et al. No difference was found between medical cannabis and placebo groups on a timed walk test. However, scores on a test of cognitive function showed lower scores for participants on active treatment compared to the placebo group. In scientific study, self-report measures are considered unreliable because humans possess bias by nature, often unintentionally. Scientists understandably desire facts and not opinions, which is the reason why objective measures and double-blinding are used as elements of the gold-standard for determining treatment efficacy. However, a study by Collin et al. (2007), which found efficacy of CBM using self-report measures addresses this issue in relation to CBM treatment and MS. The researchers mention in the “Discussion” section of their study that although their work was criticized for the utilization of a self-report measure, it may actually be superior to observer-rated measures. One reason for this is the lack of “clinical relevance” that objective measurements provide; when “real world” patients with spasticity go to see their physician, the physician often merely asks either the patient or their caregiver how the patient has been feeling about their spasticity. Very rarely are objective measures like the Ashworth Scale utilized. Additionally, utilization of the 11-point Numeric Rating Scale is meant to provide a broader view of the patient’s experience of their spasticity. It does so by measuring spasticity over 24 hours, not at only one point in time, thereby gaining a better idea of the patient’s quality of life. As noted by Collin et al., “there is increasing acceptance that a patient reported outcome measure is appropriate for spasticity.” The NRS is frequently used for pain assessment in the clinic, with at least a 30% reduction in pain after treatment signifying that the treatment provided a “clinically meaningful reduction in pain”. While it is unclear whether or not the same gauge is appropriate to assess whether or not the NRS can be used to accurately measure spasticity with reliabilty, 40% of the original CBM group in this study experienced a >30% improvement in their spasticity. This improvement was found in addition to those already provided by the participants’ prescribed medications for anti-spasticity, which they were required to continue throughout the trial. Multiple studies have shown the benefits of medical cannabis for patients with MS experiencing a wide range of symptoms. Novotna et al. (2011) conducted a Phase III placebo-controlled trial on cannabis-based medicine (CBM) as an add-on therapy for MS symptoms. The CBM add-on produced a “highly significant” difference in the Numeric Rating Scale, as well as improvements in self-reports of spasm frequency, sleep disturbance, and perspective of the caregiver and clinical regarding global impression of change for the patient. In 2007, Collin et al. conducted a study on the effects of CBM on patients with MS and found that oromucosal CBM significantly improved daily subject-recorded Numerical Rating Scale of spasticity. However, there was no significant difference between placebo and active treatment [i.e. medical cannabis] on Ashworth Score and the Motricity Index [an objective measure of muscle power]. 57% of participants on active treatment vs. 48% of control participants experienced an improved global impression of change of symptoms. Numerous studies have also shown the efficacy of medical cannabis in treating neuropathic pain, which is the most common pain type experienced by patients with MS. These include “A Randomized, Placebo-Controlled, Crossover Trial of Cannabis Cigarettes in Neuropathic Pain” by Wilsey et al. 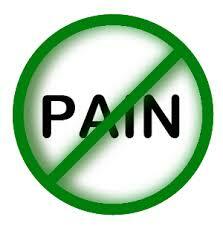 (2008) and “Smoked cannabis for chronic neuropathic pain: a randomized controlled trial” by Ware et al. (2010), which also showed improvements in ability to fall asleep, improved quality of sleep, and well-tolerated and minimal adverse events. Additionally, “A Preliminary Controlled Study to Determine Whether Whole-Plant Cannabis Extracts Can Improve Intractable Neurogenic Symptoms” by Wade et al. (2003), which used oromucosal CBM, found improvements in pain, impaired bladder control, muscle spasms and spasticity with medical cannabis treatment. There is some evidence that suggests that medical cannabis may be useful beyond symptom control for patients with MS, and may be able to act as direct treatment of the disease. “Preclinical evidence has emerged supporting th[e] hypothes[is]… that…activation of CB2 receptors expressed by T cells within the central nervous system will decrease inflammation in MS and possibly also slow progression of the disease.” – Pertwee et al. A study by Pertwee et al. (2007) conducted a review on cannabinoids and their effect on MS, found that there is evidence to suggest that cannabinoids may work not only as a treatment for MS symptoms, but also the direct treatment of the disease. This is believed to occur through activation of cannabinoid receptors which “may suppress some of the pathological changes that give rise to these signs and symptoms”. The researchers note, “signs and symptoms of this disease can be ameliorated by cannabinoid receptor agonists at doses that do not provoke unacceptably severe adverse events. Preclinical evidence has emerged supporting th[e] hypothes[is]… that…activation of CB2 receptors expressed by T cells within the central nervous system will decrease inflammation in MS and possibly also slow progression of the disease. To date, some of the evidence that suggests that medical cannabis is a harmful treatment option for patients with MS points to the fact that on cognitive tests, MS patients who use medical cannabis may perform worse in comparison to MS patients who did not use medical cannabis. Given that the disease itself can cause cognitive declines, these results represent an understandable concern. However, when discussing conditions like MS with debilitating symptoms, maintenance of optimal cognition is not the most important issue. A patient using medical cannabis with decreased pain, greater ease in sleeping, decreased self-reports of spasticity, and/or an increase in global perception of their health, is a medical success. Given its low risk of negative side effects and low risk of dependence, CBM may be an effective treatment option to be used in conjunction with other efficacious treatments for patients with both typical and intractable MS symptoms. However, medical cannabis is not an optimal treatment option for everyone. To gain a better understanding of the CBM and its effects on MS, more research needs to be conducted using proper tools in order to assess its effects. With that said, increased research for any medication is always warranted – even for those that have been legal and commonly used for decades. Thus, this is not a strong enough reason to maintain prohibition on medical cannabis for patients with MS. The evidenced overall safety of medical cannabis in various forms, along with its shown efficacy for various symptoms of MS, seems to support its use for patients who are suffering. This is especially true of those with intractable symptoms which cannot be ameliorated by other therapies. In turn, it would be beneficial for patients with multiple sclerosis to have safe, legal access to various forms of medical cannabis, with use authorized and monitored by their healthcare provider.